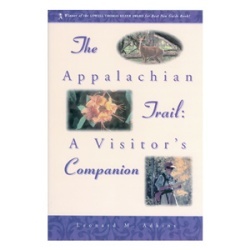 The Appalachian Trail - A Visitor's Companion, by Leonard M. Adkins, 1998. A natural history guide to the AT, with chapters on geology, trees, flowers, mammals, birds, and reptiles/amphibians. Also offers history of trail and suggested hikes. 221 pp, 5 7/8" x 9".